This page is updated continuously with new information. Please check back frequently! The fires will be lit shortly after sunset (7:10pm) and remain lit until MIDNIGHT. A gallery show like none other! This creative placemaking project of WaterFire brings the historic Old Stone Bank back to life with a host of artwork and SteamPunk inspired characters. 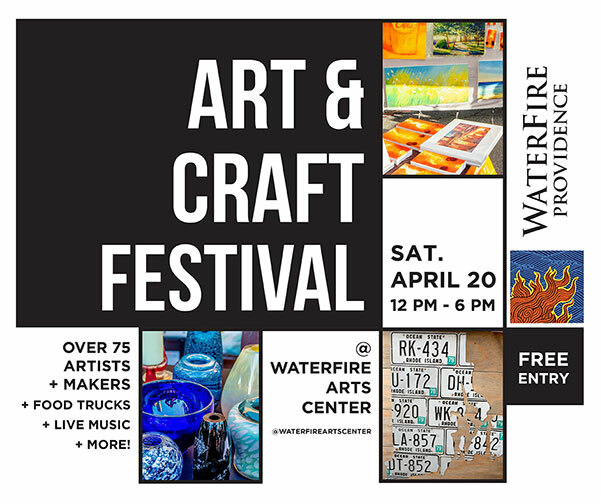 WaterFire has transformed the historic bank, the gold-domed Providence landmark, into an art gallery and performance space where artists throughout the region will showcase their interpretation of Steampunk art in this singular venue worthy of such an occasion. Featuring performances by Emperor Norton’s Stationary Marching Band and Big Nazo’s Call of Cthulhu Opera. The WaterFire Store on Canal Street, buy a t-shirt, hoodie, poster, magnet, pendants and much more to help support WaterFire and keep the fires burning. 5:00pm – 1:00am – Experience RI WaterFire Shuttle at the corner of Washington & North Main Streets. Forego the hassle of parking downtown on busy Saturday nights. The folks over at Experience RI have introduced a “hop on, hop off” shuttle that travels throughout Providence from 5pm to 1am every Saturday night. Once on board you will be taken to the most popular attractions around the city, including WaterFire, Providence Performing Arts Center, Trinity Repertory Theater, Federal Hill, Thayer Street, and much more! Starting Saturday, September 7, 2013 through November 9, 2013, Experience RI will donate $5.00 to WaterFire Providence for every $10 adult ticket sold on its hop on, hop off shuttle service running on WaterFire nights. Additionally, Experience RI will be donating $1 for every ticket sold through November 9, 2013 for Saturday Night Shuttles on non-WaterFire nights as well as for their Explore Providence, Providence Dinner Tour and Newport for a Day experiences. 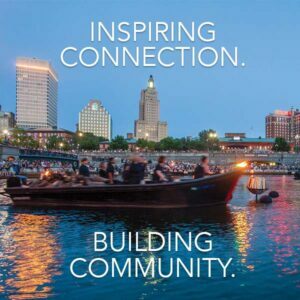 For more information about Experience RI tours go to http://www.riexperience.com or visit their booth at the WaterFire Art Festival on the Plaza on Washington Street on WaterFire evenings. WaterFire volunteers will be roaming the park giving out free white and red carnations. Each flower will have an inspirational quote attached. This outdoor show will be held on Washington Street, in the heart of WaterFire. WaterFire Arts Festival Plaza will offer visitors the opportunity to purchase artwork by Rhode Island-based artists. Running low on battery power? 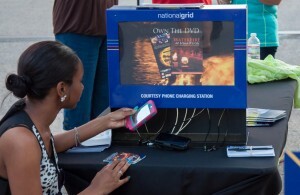 Stop by Canal Street and charge up with National Grid. Free mobile device charging stations will give you a boost. 7:00pm – 11:00pm Great Jazz Performances at WaterFire’s Steeple Street Stage. Visit our Guest Stations where you can become a part of the artwork with your own Ribbon of Light; and our Ambassadors can answer your questions and guide you to next great event! Stop by Union Plaza to see the internationally acclaimed, award winning music and dance group, Inca Son. All dressed as their Inca fore-bearers performing enchanting melodies on their Andean pan-flutes. WaterFire is pleased to present Rhode Island Philharmonic Orchestra’s resident conductor, Francisco Noya, and his brother Miguel Noya, who be playing together for the first time in Providence to present a program of original music with themes deeply connected to the sounds of WaterFire Providence. Check out their music at the RISD flagpoles on the Providence River Greenway where they will present an evening of Ritual Electronic Music where High Technology and Shamanistic Traditions meet Ancient and Sacred sounds. A one-man performance by Robb Dimmick. 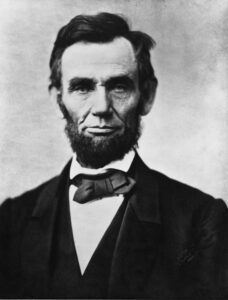 Celebrating Lincoln’s Gettysburg Address the speech that stands the test of time. Robb Dimmick, who for 30 years has delighted & educated audiences across the country with this spectacular show, shares Lincoln’s insights into and recites The Gettysburg Address.